An integrative approach to sobriety utilizing psychotherapy and acupuncture! Come join Dr. Murphy and Patricia Freebery, LMFT for back-to-back integrative sessions of acupuncture and psychotherapy. Contact our office for an updated schedule of private or group sessions available. 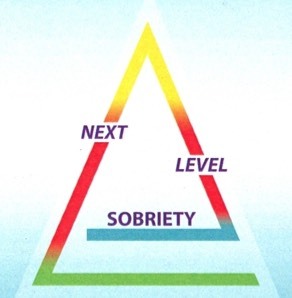 Next Level Sobriety seeks to create new focus on thriving rather than surviving. Sobriety isn't just about abstaining from drugs and alcohol, it's about finding a sense of purpose. A passion for life and a focusing of attention on positive wants versus the lack or loss of substances. Sobriety doesn't need to be a struggle. So much energy is freed up when alcohol and drugs are removed from one's life, energy that can be used to take one to the next level of health and wellness. A place of clarity, peace, joy, abundance or whatever you dream it to be.